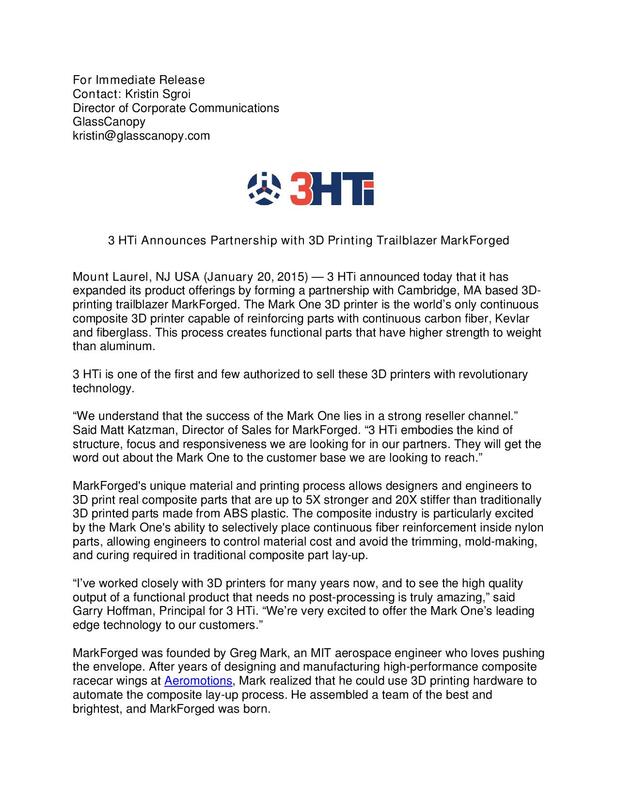 3 HTi announced today that it has expanded its product offerings by forming a partnership with Cambridge, MA based 3D-printing trailblazer MarkForged. The Mark One 3D printer is the worlds only continuous composite 3D printer capable of reinforcing parts with continuous carbon fiber, Kevlar and fiberglass. This process creates functional parts that have higher strength to weight than aluminum.